The Reva and David Logan Center for the Arts is preparing to launch a series of student-centric exhibitions this spring in anticipation of its opening this October, offering graduating students a chance to showcase their work in the new space before departing campus in June. “There is nothing soft about the opening,” said Heidi Coleman, director of undergraduate studies for TAPS and University Theater (UT), one of many student groups slated for performances at the Logan Center beginning March 26. Arts Apocalypse, a personal vision of Coleman’s and fourth-year Andrew Cutler’s, will premier at the Logan Center May 12. The show will unite artists and arts groups for a wide-ranging exhibit featuring work entirely by U of C students. “We will be hitting the ground running,” Coleman said. UT and TAPS will collaborate on the event, which Cutler hopes will attract as many as 50 student groups. So far, he has recruited 38 participants, representing a myriad of artistic mediums and interests. “There will be so many different people doing their artistic thing—so far we have ideas ranging from a fight choreography installation to circus performance in the courtyard to paintings to image projection to live music,” he said. Aside from Arts Apocalypse, the preview period’s events will include talks by artists and scholars, as well as open houses for U of C affiliates and community members. UT will also perform all of its spring quarter shows at Logan, Coleman said, including the premiere of Chicago playwright Mickle Maher’s adaptation of An Actor Prepares and Shakespeare troupe The Dean’s Men production of Cymbeline in Logan Courtyard. Overall, the series is valuable promotional work for the Logan Center’s directors. “The preview period is an opportunity for faculty, students, and our neighbors to get a first look at the Reva and David Logan Center for the Arts. It is important to us that our students have a chance to create and learn in the Logan Center before they graduate in the spring,” said Bill Michel (A.B. ’92, M.B.A. ’08), the Logan Center’s executive director. 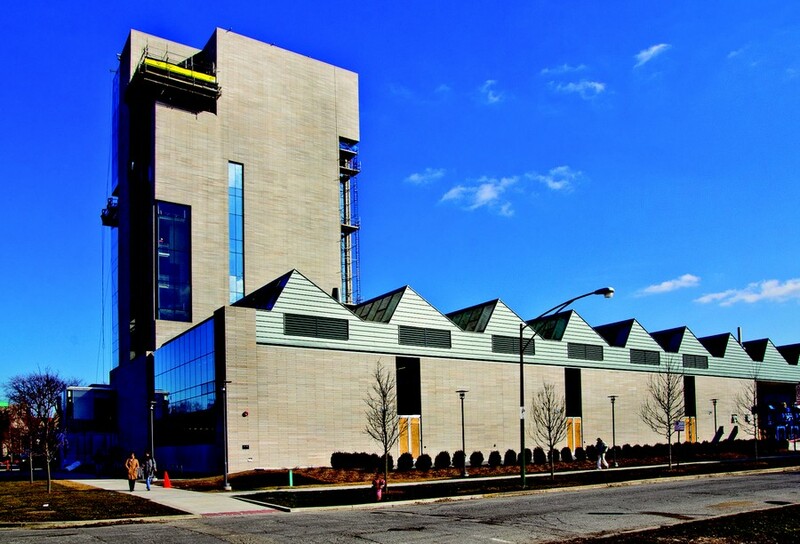 Last spring, Michel said that the Logan Center will host 90 percent of all visual arts and theater on campus, and provide a way for artists to collaborate. Cutler envisions Arts Apocalypse as a vehicle for direct student involvement in Logan’s opening.